The hubs and I aren’t typically big gift givers. We always try to do something though. Usually we end up settling on something we both want. Something that would be a huge purchase we couldn’t quite justify on our own. Combined though? Like we go in half, 50/50? Then things don’t seem so bad. In the past it’s been things like, a new tv, a new DSLR camera for family photos and documenting memories. Once it was a Keurig. Something we both wanted so badly, but couldn’t reeeeeally justify since our old standard pot was still kickin’ and doin’ just fine. Again though, when we went in together– it wasn’t really that much on our end– so of course we were getting it. For a special occasion, of course. An affordable treat to ourselves that we both could, and would, enjoy. And man, do we love our Keurig. Every morning, having that fresh cup, hot in my hand and ready in like 30 seconds-that is a little ‘I love you’ from my husband to me. This year, we seemed to have pulled out all the stops and bought ourselves an electric smoker. It does it’s job alright. Smoke baby, smoke. Seriously, it was a little scary for me the first time or two. Now though, I’m confident enough to use it on my own. It helps that I now trust it won’t spontaneously combust. 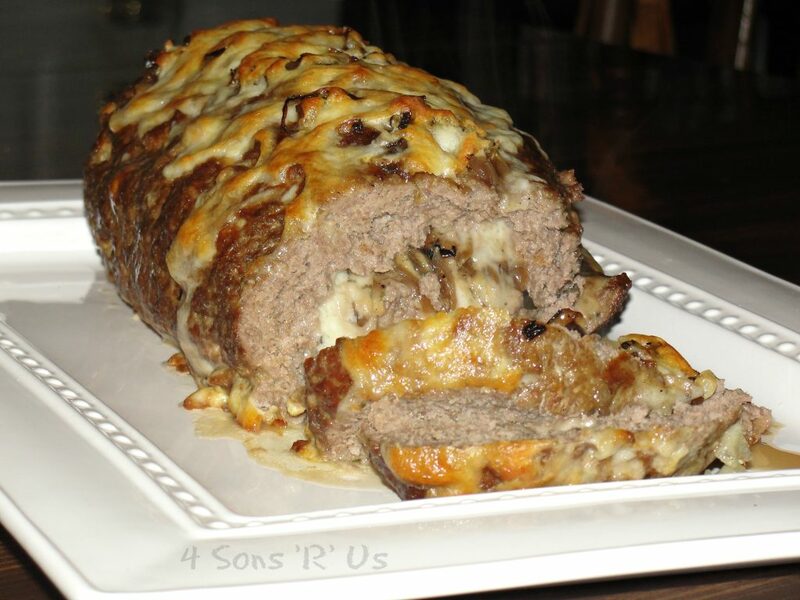 Grandma, forgive me- but your meatloaf was one of the first things I decided to put in that bad boy. 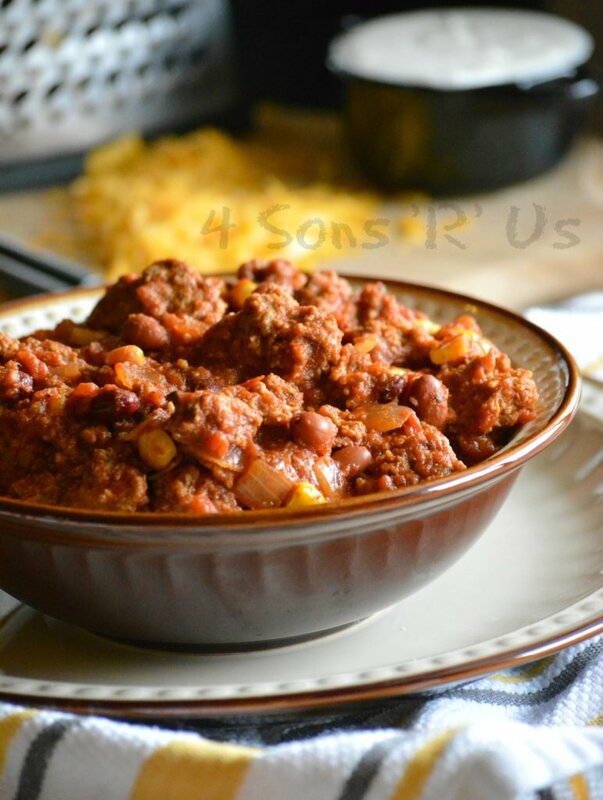 And we didnt’ use Grandma’s tried and true, can not be beaten recipe. We threw caution to the wind and went for it. There is no other meat tenderizer out there like whiskey. I kid you not, and we loaded this sucker up with Jack Daniels. A little surprise was hidden inside , courtesy of a nestled log of pepper jack cheese. 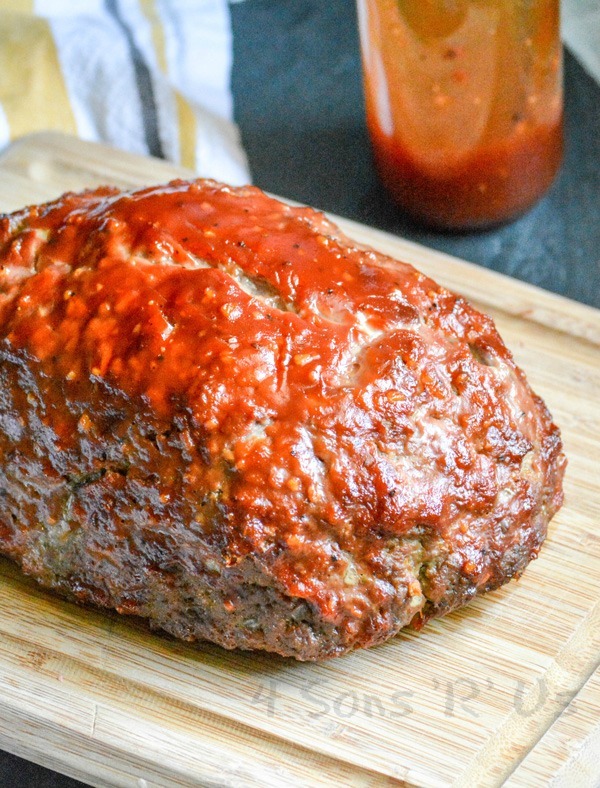 Wood smoke infused in every bite, and slathered in a bold, spicy sauce- this All Jack’d Up Stuffed Smoked Meatloaf lived up to it’s name and then some. 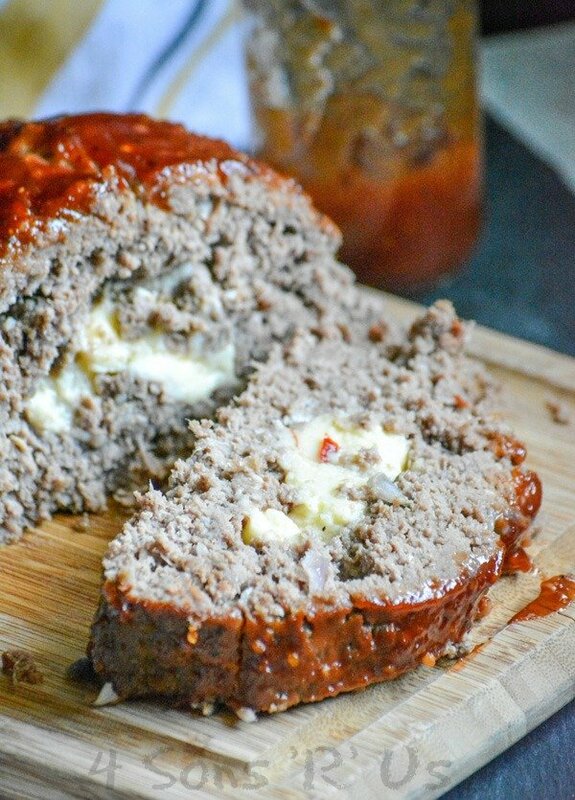 Get your smoke on and enjoy this meal that was meant for Summer with our All Jack’d Up Stuffed Smoked Meatloaf. Grandma won’t know what hit her. 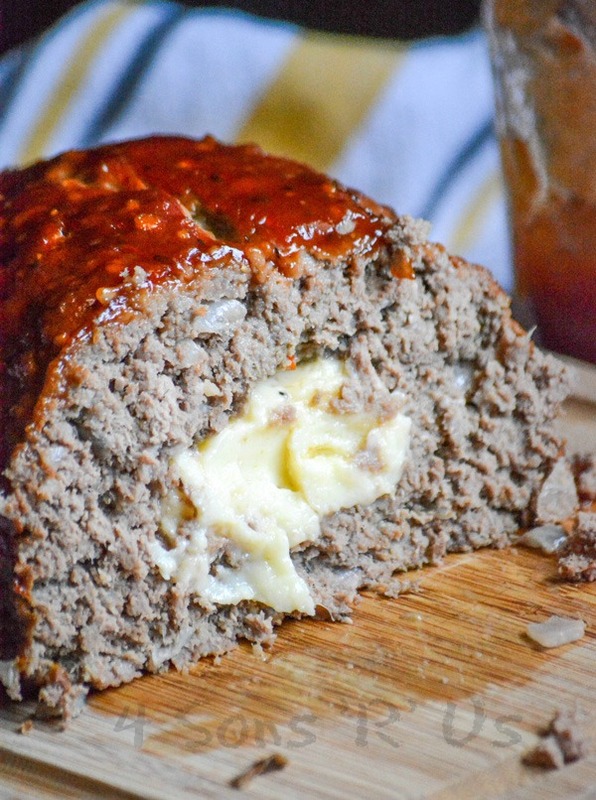 A moist tender meatloaf infused with the flavor of Jack Daniels, stuffed with melted pepper jack cheese, and slathered in a bold spicy sauce. Preheat your smoker to 225 degrees F, using a blend of hickory and apple wood chips. In a large mixing bowl add the beef, bread crumbs, onion, garlic, eggs, Worcestershire, whiskey, steak seasoning, and milk. Using your hands, mix all of the ingredients just until evenly combined. In the bottom of a small, shallow metal pan- spread out half of the meat mixture. Use your fingers to create a shallow well in the center. Add the pepper jack cheese to the well, leaving about an inch of meat on all sides. Top with the remaining meatloaf mixture. Gently squish everything together to form a loaf, and use your fingers to securely seal up any holes so that the cheese doesn't leak out during cooking. Stir together the sauce ingredients. 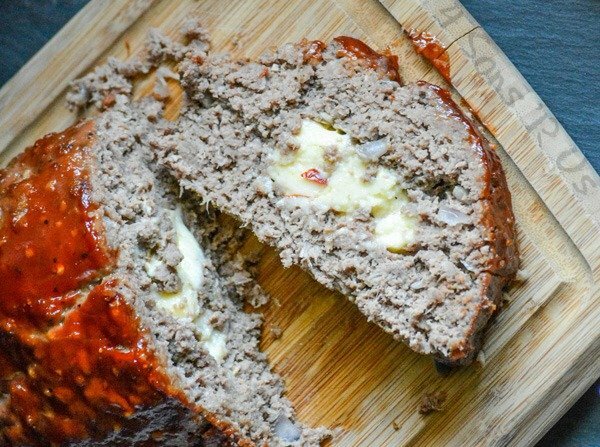 Spoon the sauce evenly out over the meatloaf. Letting it drip down the sides a bit is a plus. Transfer the meatloaf to the smoker, close and seal it and smoke for 4 hours- or until the internal temp reads 165 degrees F.
Remove the meatloaf from the smoker. Let it rest for five minutes. Slice and serve with your desired sides. This is enough to make me want a smoker! 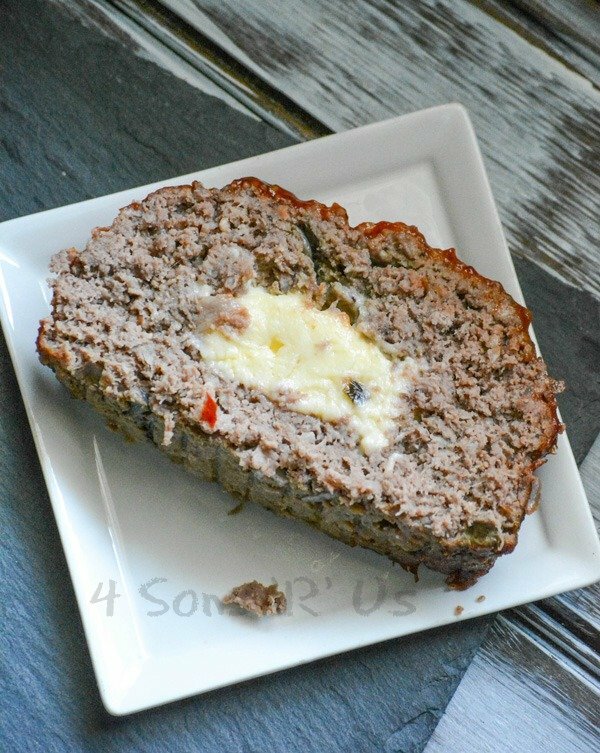 HOLY SMOKED MEATLOAF! Thanks for bringing along to Fiesta Friday. Yup, it just won’t have the same smoky-ness baked in. It will still be tasty though. Personal cookbook or one that’s for sale? If it’s personal, or just from friends and family we’d be pleased as punch as long as you could credit us/our site where you got it from. Made this tonight, followed your recipe the whole way, including stopping at Home Depot for a wire grilling/smoking basket to cook it in, except I kicked it up a notch & wrapped it in bacon prior to smoking. Absolutely amazing! Not sure how to post pics here, but awesome recipe! Thank you, we loved it!!! That sounds fabulous, Trish! We wrap our chicken breasts in bacon before smoking- that recipes on here, too- but I can’t wait to give my meatloaf the same treatment next timed. Great tip! Did you smoke it inside the pan? We do. It keeps it from stick to the rack and keeps all the grease in one place for easy clean up. I smoked it in a wire grill basket that I put foil in.